The O’Toole Family Foundation supports and expands upon existing cultural and athletic and medical institutions, programs and facilities that enrich life and promote wellbeing. The Foundation works with community organizers and not-for-profits to fund events, activities and after school programs that build community engagement, celebrate the arts, enhance athletic aptitude and enjoyment, and instill lifelong passions. We are proud to support the arts and athletics, both on the local and national level. As avid squash players, Terry and Polly’s interest in the sport has facilitated support of several local and national organizations. 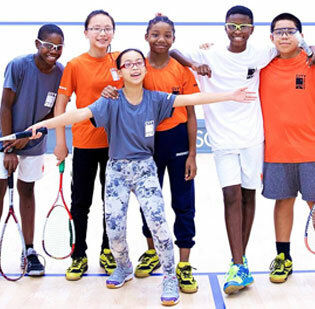 The Foundation has donated to City Squash and StreetSquash, two not-for-profits that provide athletic and academic opportunity to economically-disadvantaged youth. The Foundation has also donated to US Squash, where Terry currently sits on the board of directors and served as a past Chair of the Finance Committee. The Foundation also made a donation to the Pingry School in New Jersey to fund the construction of squash courts. This state-of-the-art facility will promote further development of the sport at the high-school level and provide broader benefits of fostering personal and academic achievement. In recognition of their support for the squash program, Polly and Terry O’Toole were honored at Pingry’s 2018 Commencement Exercises with The Cyril and Beatrice Baldwin Pingry Family Citizen of the Year Award. Committed to supporting Terry’s alma mater and its outstanding athletics programs, the Foundation has provided funds toward renovations of Villanova’s on-campus arena, The Pavillion. The Pavillion is home to Villanova Men’s and Women’s Basketball, and also features four multipurpose courts and batting cages and a five lane indoor running track, long jump pit and pole vault area. The Foundation is a participating sponsor of a summer series of weekly acoustic-based concerts “Songwriters on the Beach,” presented by NPR affiliate Brookdale Public Radio, 90.5 The Night. The annual summer series has been bringing free local and national acts to the Jersey Shore since 2005. The Foundation’s sponsorship will help cover performer fees and production costs of the event, which takes place over eight weeks on the beach in Belmar, New Jersey. Polly and Terry O'Toole at the naming ceremony. The Foundation pledged funds to the Hospital for Special Surgery, the nation’s oldest and foremost orthopedic research and medical center. The donation targets further research and advancements in surgical procedures conducted by the hospital’s Spine Institute. Terry is both a past recipient of care and a current member of the hospital’s Board of Trustees. 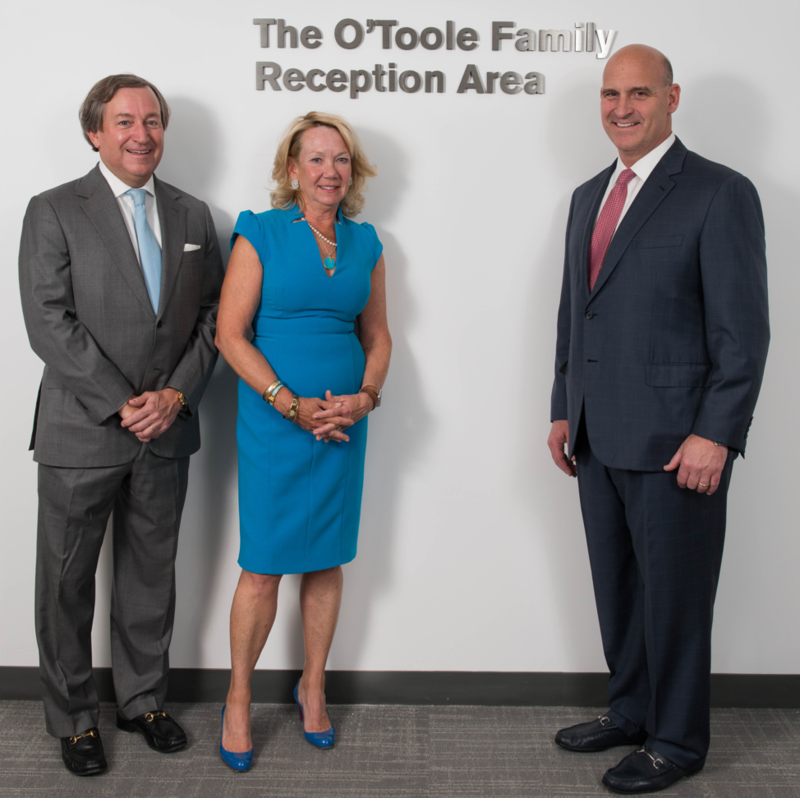 The hospital honored the O’Toole’s by naming a reception area after the family.